How much fun can a group of ladies have? Never too much seems to be the theme for this year’s golf season! With games like the ones played last month (Cha, Cha, Cha, Sucker in a Bucket, Crystal Ball, Criss Cross and Criers Cup) you can’t help but have some fun and a lot of laughter. This month we have the SunBird Cup, the Medallion, and of course, our first Shoot Out of the season. I would like to make a correction in regards to the Shoot outs. Unless it is a couples Shoot Out, there is no qualifying needed – just sign up and join in the fun! 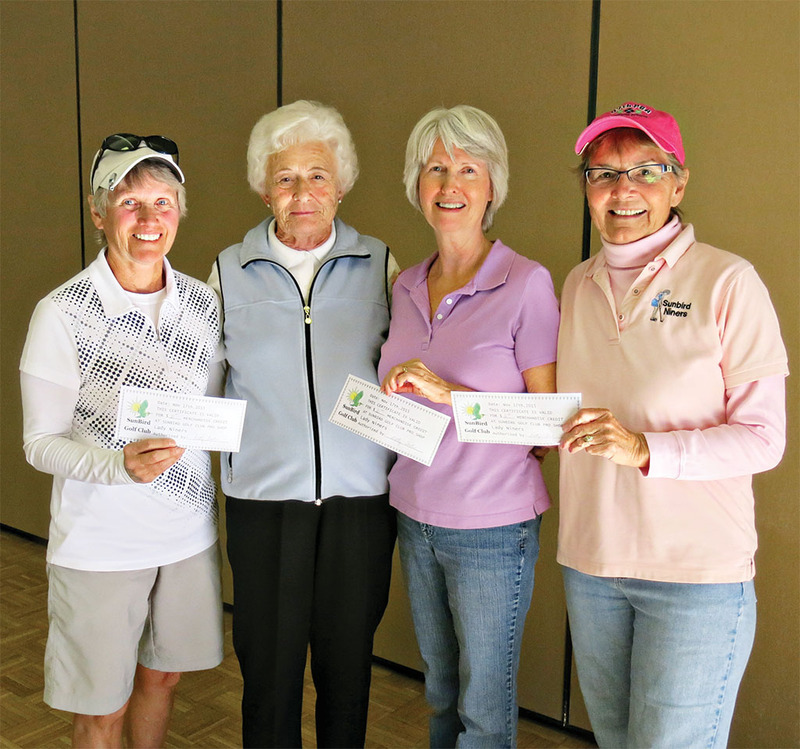 A very special thank you to Jo Mottet, Debbie Verhaeghe and Mellissa Craig for our weekly and tournament play. I am going to try out a slight change as to how we publish/report the winning teams. Of course, all winning scores will be posted on the board; however, not every game will be posted in the paper. I do want to research the possibility of posting the winning teams, as well as other fun information, on our website. Hopefully we can test run this concept next month. This should prove to be a more efficient way of receiving current information! For now I will tease you with some of December’s winning teams which include the Cha, Cha, Cynthia Bastin, Janet Farrell, and Shirley. Connie Franklin took low gross at a 67 and Melissa Craig and Marcie Hogan tied for low net at a 55 during our two week Eclectic Tournament. A full list of the winners has been posted on the board. 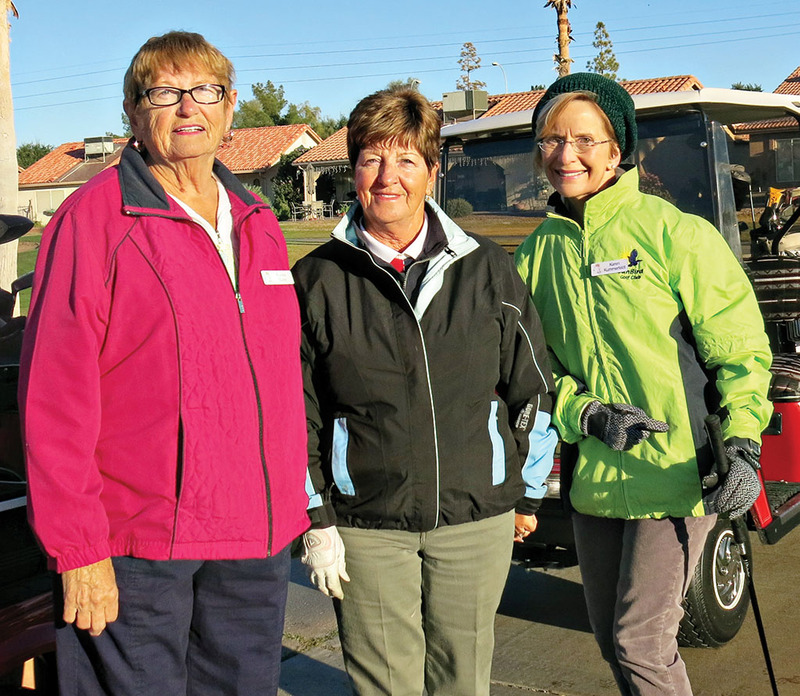 Kudos go out to the SunBird Lady 9ers! They went all out when they hosted the 18ers for golf and lunch. We all played from the yellow tees; what a thrill that was to have a chance to Par or even Birdie hole 7. Then they topped off the day with a fabulous luncheon. Fall decorations, an amazing variety of salads, sandwiches and, of course, desserts. On behalf of all the Lady 18ers thank you again for such a great day of fun, food and friendship. We are already looking forward to next year’s event. The 18ers will take a turn at hosting next year and we can only hope to do half as well as the 9ers did this year. I am very excited to announce that our group is expanding as we welcome a couple more new members. 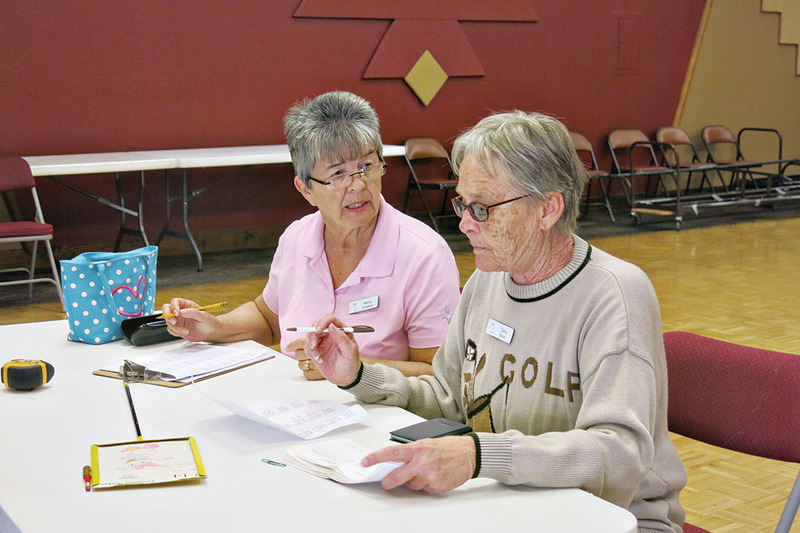 Please be sure to search out and introduce yourself to Jean McKermot and Susan Spate. We all look forward to seeing you on the course! Another friendly reminder that if you are on a monthly lunch group (posted on the board) please contact Julie at the Horizon Room ASAP so we can get space reserved. 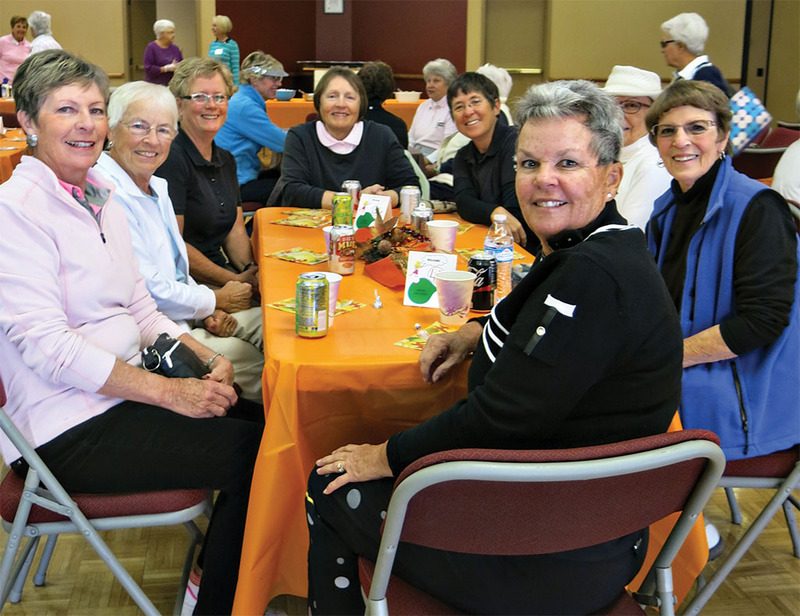 February 2 – Pink Lady Luncheon celebrating Cancer Survivor Day. Lunch team Jackie German, Connie Lundeen, Becky Sargeant. Wishing you all a very blessed, loving and fun New Year!